The “Store of the Future” combines in-store tech with the 5 forces of context — mobile, social media, data, sensors and location to provide rich, hyper-personalized shopping experiences. But are consumers ready for it? RichRelevance recently polled 1000 US consumers for their Creepy or Cool study, gauging consumer attitudes towards a variety of in-store digital tactics. It’s not surprising that consumers resist anything that’s perceived as intrusive, interruptive or irritating – and this applies to all digital marketing and personalization, not just in-store. 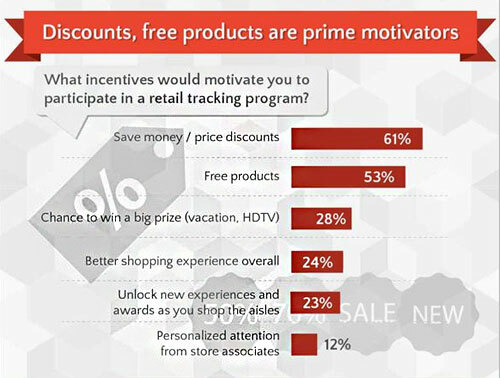 But a number of studies suggest consumers do want personalized experiences online and in-store, including a 2015 study by Accenture, which reports 60% of consumers want real time promotions and offers. However, only 20% are willing to share their location information, and 14% to share browsing history. How can marketers satisfy consumers’ desire for personal experiences whilst mitigating distrust and creep-FUD? Being greeted by name by an iPad-armed associate? Creepy, because it’s low-value. Thanked by name by an associate at the register as she returns your loyalty card? Not creepy, because the loyalty program delivers value, and the greeting comes at a relevant and appropriate time. Just as your business and products need clear and compelling value propositions consumers need to believe the value of your personalization feature is worth the intrusion. Take a technology like passive beacons, which can tap into a customer’s mobile app to personalize in-store displays without the customer needing to launch an app or even pull the phone out of pocket. Consumers will surely perceive this as creepy unless they understand it and derive value from it. 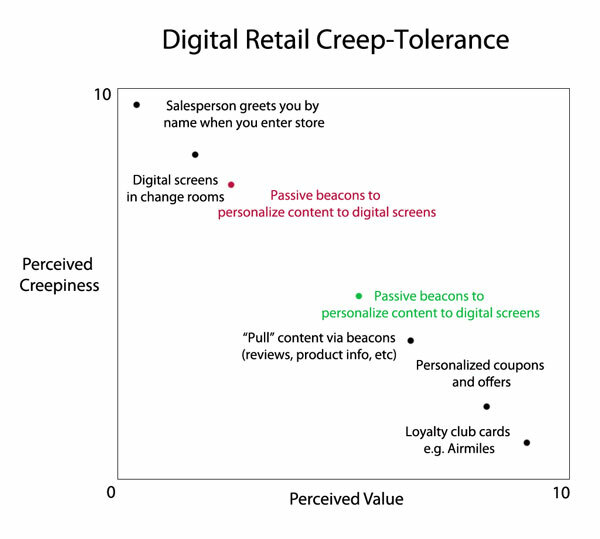 In the hypothetical plot above, for passive beacons to move down the creep-curve, consumers must perceive the value gained — whether the appeal of content and offers delivered or the convenience of hands-free shopping or something else — is worth allowing a retailer passive access to their devices. Make sure the value of the experience is what a customer actually wants and not just a shiny object. You may choose a pilot store or a small amount of customers to test before doing a full roll-out. Trust is the currency of customer experience. While 67% of consumers told OpinionLab they don’t trust any retailer with their data, 77% of consumers say they would trust businesses more if they explained how they’re leveraging that data to improve their online experience (Janrain). Online shoppers are also offline shoppers, so regardless of the delivery touchpoint, disclosure of how information will and will not be used should be made clear at every opt-in, whether loyalty program or account creation, app download or beacon engagement. You can have the tech in place, but relevance comes down to your personalization strategy. Too general? You won’t deliver value. Too personal? You erode trust (think Target-predicting-pregnancy-creepy). Somewhere between lies your sweet spot. Personalization’s holy grail is to deliver the right message to the right customer at the right time. The more customer data you have (both aggregate and about the individual), the better you can recognize patterns and make good predictions. But it’s not just about nailing the zero moment of truth. 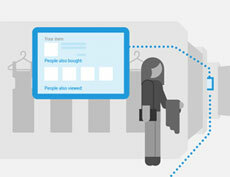 Content and offers based on in-store triggers (e.g. serving a coupon for blenders when dwelling in the blender aisle) may be a super timely, but may also be perceived as creepy if customers haven’t offered location permissions. Know your customer’s tolerance, and test your triggers’ effectiveness. And don’t forget about technicalities – even Apple fell flat with its beacon triggers, greeting customers both entering and leaving the store. Accenture’s study found 90% of respondents want to limit access to certain types of personal data, and don’t want retailers to share information with third parties. 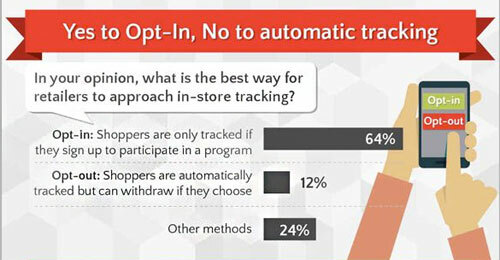 88% prefer to determine how a retailer can use data. In addition to disclosing how information is used to personalize an experience, providing controls and opt-outs can ease customer fears and avoid crossing the creep line. How digital personalization plays to the Store of the Future will not be determined by what’s possible but what’s permissible. Consumers will tolerate what they trust and what delivers value. Are you ready to deliver innovative digital experiences across channels? Elastic Path’s latest ebook The New Customer Journey: A Convergence of Content, Context, Channels and Commerce is available for free download. The book covers the what and why of experience-driven commerce.